Wedding Venues North Down ARE YOU A SUPPLIER? 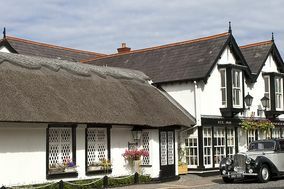 Guide to wedding venues in North Down: in our listings you will find the best venues to celebrate weddings and other events like anniversaries, birthdays, christenings and other unforgettable special occasions. You can take a look at prices and wedding packages in addition to the best offers in wedding receptions in North Down. 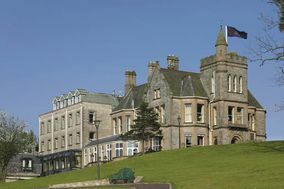 Perched along Northern Ireland's gorgeous coastline, North Down is a parliamentary constituency in the United Kingdom that includes a variety of beautiful, bustling towns, including Holywood, Cultra, Crawfordsburn, Helen's Bay, and the aptly named Groomsport. The biggest town in the region is Bangor, which has long been a welcome escape for visitors who enjoy the seaside town's beautiful weather and glamorous buildings. Bangor lies along the "gold coast" which has nothing to do with sandy beaches or endless sunshine, but instead refers to the wealth of its inhabitants. The popularity of Bangor faded during "the troubles" of the 1960s, but the town and the entire region of North Down has enjoyed a renaissance during the recent decades of peace. North Down is a region of eclectic towns, each with its own history and unique character. As you begin your hunt for the North Down wedding venue of your dreams, keep an open mind. You might be surprised by what you find once you begin exploring. Begin your journey in Bangor. Northern Ireland's third largest town will offer you the most venue options, including opulent hotels that can host large parties and provide you with every luxury you could desire (as long as your wedding budget planner agrees.) Don't stop there, though! Search outside of Bangor, and you'll be glad you did. North Down's small towns are home to historic inns with hundreds of years of history, as well as stately mansions that might as well be castles. Any of these hidden gems will give you an unforgettable wedding in one of the most beautiful parts of Northern Ireland. Don't be surprised if you have trouble choosing from among multiple amazing wedding venues in North Down. When you've narrowed your list down to a few top contenders, it's time to schedule your venue tour. This is your opportunity to get a feel for each location and to see if you click with the venue coordinator, who will play a big role in making sure your wedding goes smoothly. Don't shy away from asking all the questions you have on your mind. Start with making sure the venue is available on your date of choice. If you are looking to save money, ask if the venue offers a discount for events during the week or in the off season. Another great way to save money is to hire your own vendors. Not every venue will allow you to bring in your own people. Ask if the venue requires you to choose vendors from their approved list. 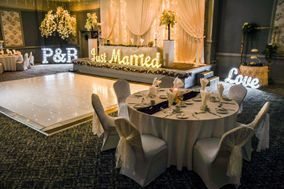 Finally, ask the venue coordinator to give you multiple options on how to arrange the ceremony and reception so that you can begin to picture exactly what your big day will look like. Choosing your wedding venue is a big deal, but it's also only the start of your wedding planning journey. At Wedding Wire, we are here to make that process as smooth as possible. Use our wedding to-do list to organise all the necessary decisions. Cull your guest list, and put up your wedding website so all your guests can mark their calendars. At Wedding Wire, we will get you to the happiest day of your life in style.